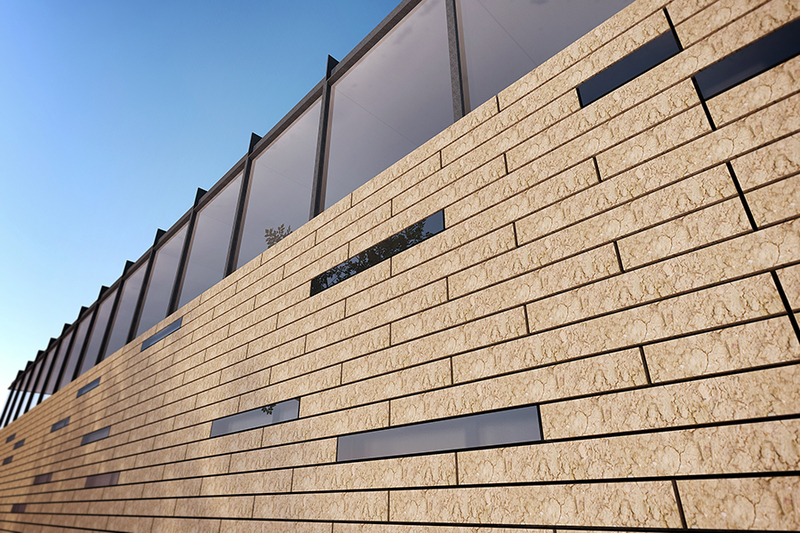 Sod brick construction of early homesteads is re-imagined as a contemporary wall system. Sod was a typical building material used by early settlers of the American midwest. The densely-packed roots of buffalo or prairie cord grass provided good reinforcing for sod bricks, which were first cut by hand and then by plow starting in the 1880s. Sod bricks were stacked root-side up so that, as the roots continued to grow, each brick would connect with the one above it. The result was a very strong wall that required minimal or no grouting. Although sod houses are a relic of the past associated with the hardships of homesteading, the environmental and self-structuring benefits of the material merit a second look. Early sod houses are characterized by a hand-built, disheveled appearance, but a process developed to create engineered sod blocks promises a more refined and precise wall assembly aligned with modern construction methods. After all—timber, brick, stone, and other natural materials have been highly-engineered, so why not grass-reinforced topsoil? The New Sod House depicts one potential application of engineered sod. In this case, the blocks form the lower half of a wall that is structured by a light steel frame. Because this wall is merely self-supporting, it requires minimal reinforcement and sealing. 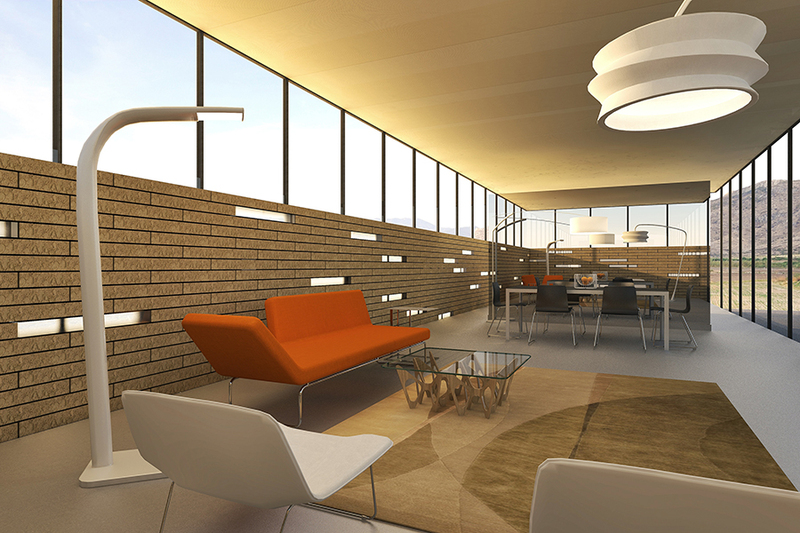 Cast glass blocks of the same dimensions as the sod are interspersed within the wall to introduce more light. 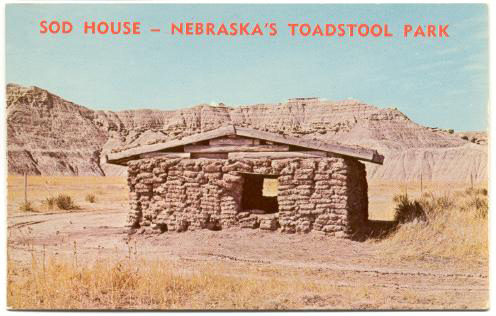 Chrome postcard of the Sod House, Toadstool National Monument, Nebraska. 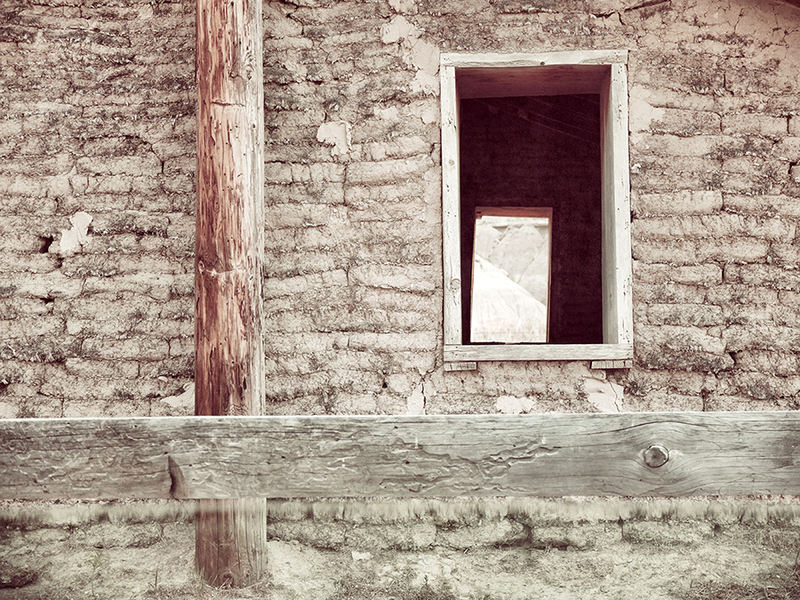 Detail of the Sod House, Toadstool National Monument, Nebraska. Photo taken in 2012. 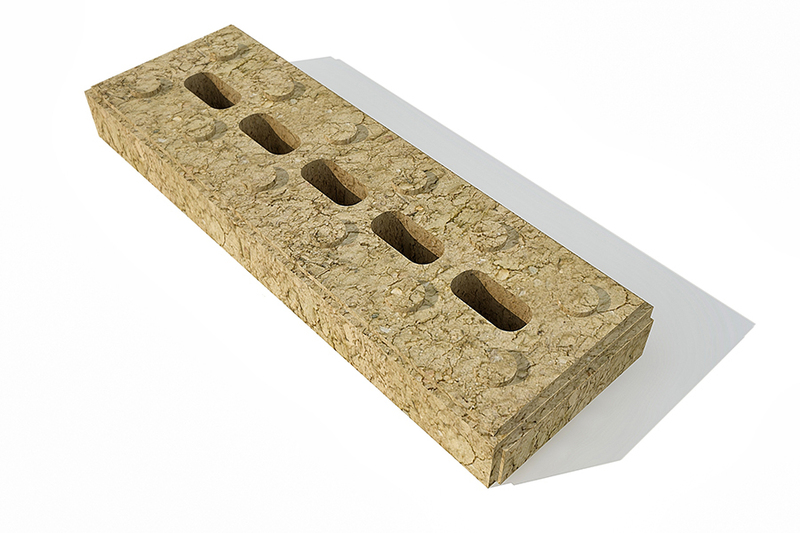 Newly-engineered sod blocks have preformed joints, registration pegs, and holes for additional reinforcing if needed. New Sod House, interior view showing backlit glass block inclusions.